The burro or donkey is one of the hardest working animals known to man. They are smart, willing and have a lot of personality. Wendy found, on social media, a 5 week old baby burro she was being cared for by an equine rescue. 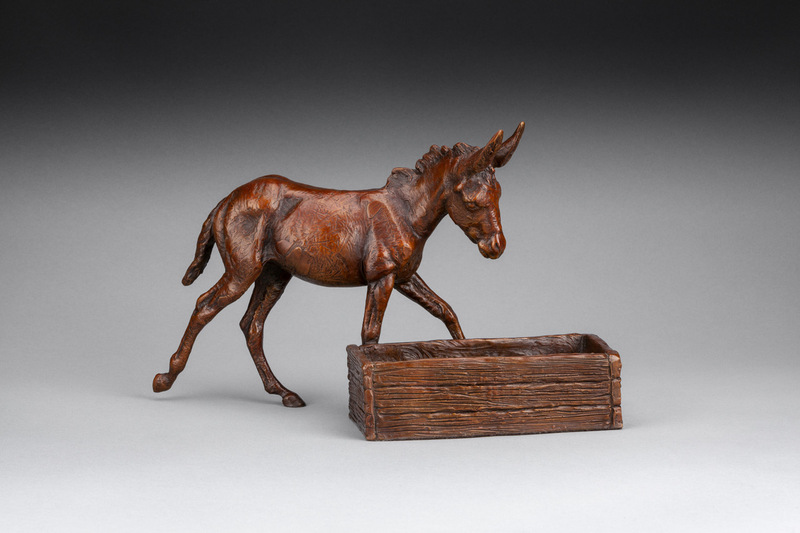 I have always wanted to sculpt burros of any age. Here was my opportunity to measure and sculpt a baby burro! It was a pleasure to work with “Chloe”. 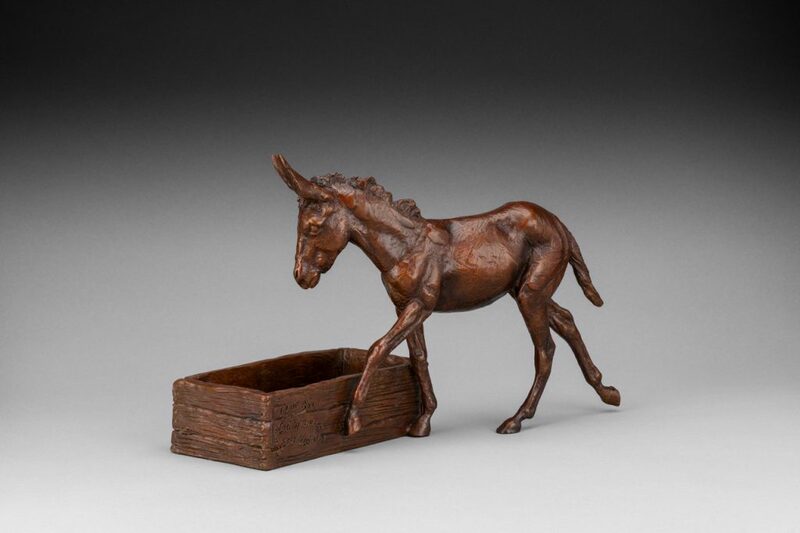 Chloe is such a character, personable and curious hence she became my model for my first sculpture of a burro. Burros and horses love feeding time, especially if there are tasty goodies in the feeder. They will go to the feeders and check when it is close to their meal time. Chloe is walking by her feeder. She knows it is time for some goodies to arrive. Her ears are up as she looks intently into the box hoping for the best. Chloe will be looking into her box when you walk by and will invite you to have a treat. She may bring a smile to your face, as you reach into her special “Treat Box”.